We offer exams for glasses and contact wearers. We also provide comprehensive eye exams to monitor for glaucoma, cataracts, and diabetes. We co-manage with several doctors in the area, for the management of Lasik, cataracts, and other eye diseases. We use the latest technology to diagnose, treat and monitor diseases related to the eye and systemic conditions with ocular side effects. When vision occurs, an image is projected onto the patient’s retina located at the back portion of the eye. The retina’s visual function is to convert the projected image into tiny electrical signals which are then passed to the brain via the optic nerve. As a result, the patient can then see the image. Visual electrodiagnostic testing works by measuring the electrical signals within the eye and brain. By examining the signals, eye care professionals can assess the patient’s level of retinal and optic nerve function. 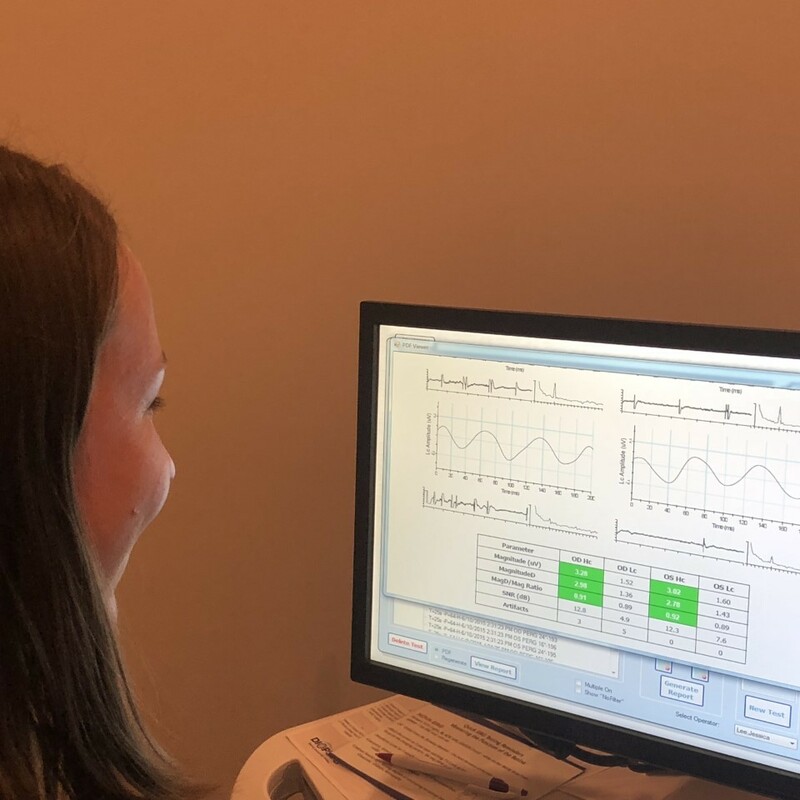 If abnormalities in the electrical signals are identified, the eye care professional can investigate further to determine if the patient suffers certain brain or retina disorders. Electrodiagnostic testing is the most advanced technology available for the detection, maintenance and treatment of ocular diseases; such as glaucoma, ocular hypertension, macular degeneration, and diabetic retinopathy. Visual Evoked Potentials and electronic retinal scans are used for patients with traumatic brain injuries, stroke, visual processing conditions or other conditions affecting the eyes. 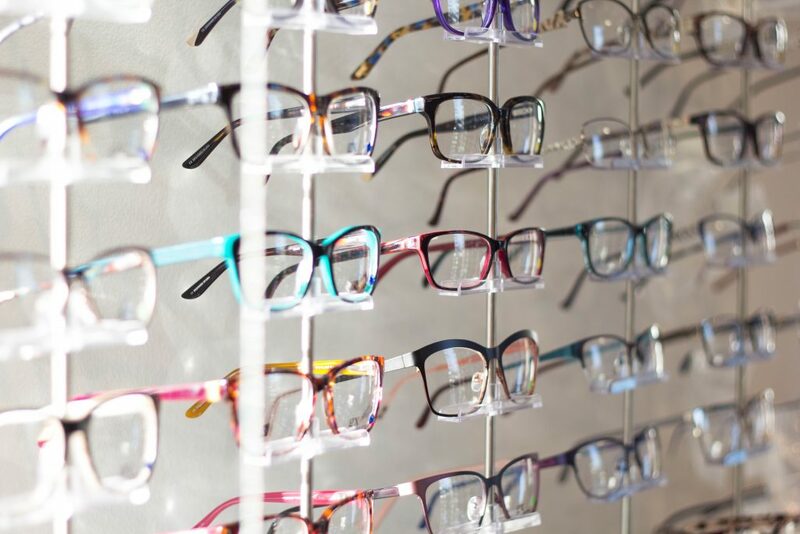 The Optometric Physicians at Lindsey Optical are dedicated to providing the most advanced comprehensive eye care available in southern West Virginia. A picture’s worth a thousand words. 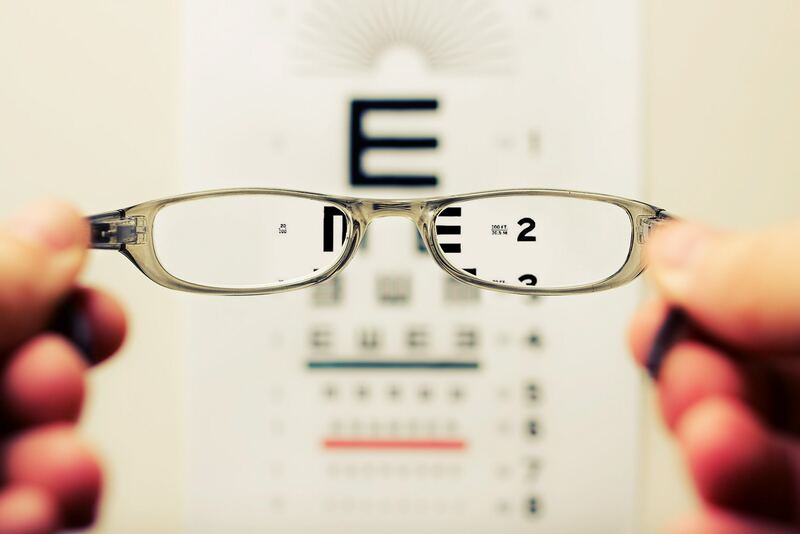 When it comes to detecting and treating vision conditions, the sooner the better always applies. 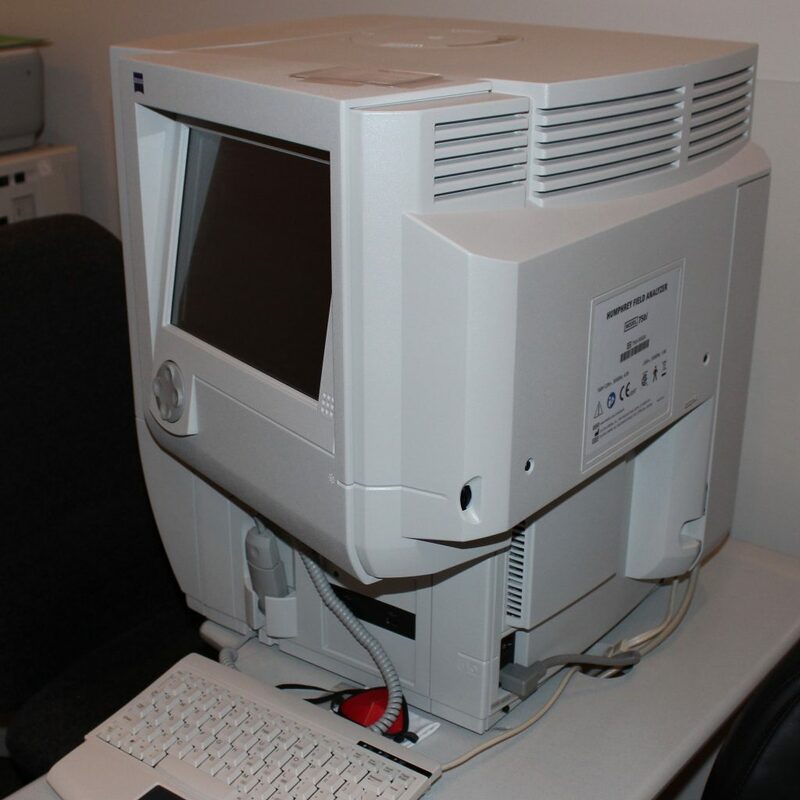 Digital retinal imaging uses high-resolution imaging systems to take pictures of the inside of your eye. It is a quick, easy and painless way your eye doctor can look inside your eye and stay on top of changes that could signal possible vision or health issues. With any of these conditions, early detection is key to identifying successful treatment options. The sooner your eye doctor is aware of a potential vision or health issue, the sooner it can be addressed. 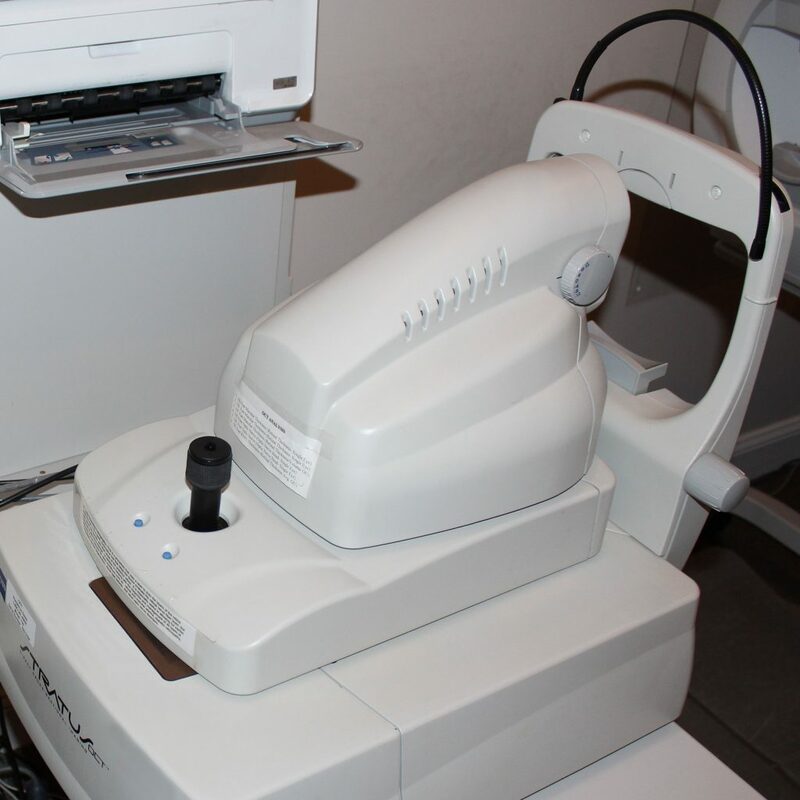 Digital retinal imaging can help your eye doctor and you gain a first look into what’s going on inside your eyes. Optical coherence tomography (OCT) is a noninvasive imaging technology used to obtain high-resolution cross-sectional images of the retina. OCT is similar to ultrasound testing, except that imaging is performed by measuring light rather than sound. OCT measures the retinal nerve fiber layer thickness in glaucoma and other diseases of the optic nerve. A Threshold Visual Field purposes is used for screening, monitoring and assisting in the diagnosis and management of ocular diseases such as glaucoma, and related neurological disorders. Test can detect disfunction in central and peripheral vision, which may be caused by various medical conditions. Many eye and brain disorders can cause peripheral vision loss and other visual field abnormalities. 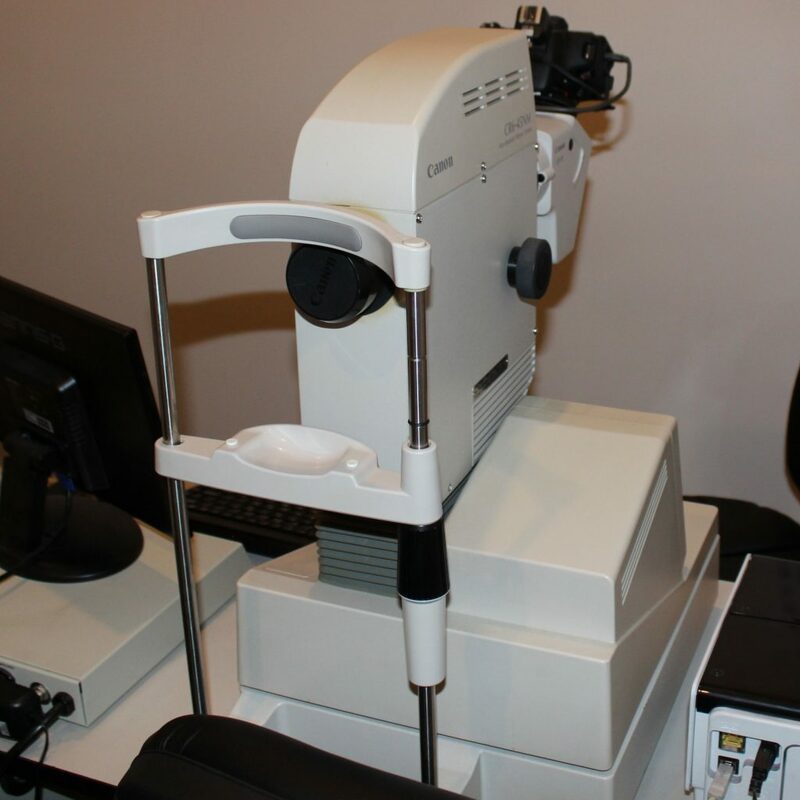 Visual field tests are performed by eye care professionals to detect blind spots (scotomas) and other visual field defects, which can be an early sign of these problems. The size and shape of a scotoma offer important clues about the presence and severity of diseases of the eye, optic nerve and visual structures in the brain. For example, optic nerve damage caused by glaucoma creates a very specific visual field defect. Your field of vision is every area that you can see with your eyes pointing straight ahead. A defective field of vision will cause problems when navigating around, especially when walking or driving. You can lose part or all of your visual field through many different ways including cataracts, glaucoma, strokes, circulatory disorders, neurological conditions, certain brain tumors and even smoking. It is therefore essential to have your visual field regularly assessed as many conditions, if caught early, can be treated. Choose from hundreds of womens and mens eyeglasses, sunglasses and designer frames, along with contact lenses and childrens glasses. Because we create each order in-house we can be sure to fit your needs. We have bifocal, trifocal, no-line, Transitions®, and digital lenses. If you’d like a custom solution for work, reading, safety or sports, we can tailor a solution for you.